Why one after the other homemade recipes for things you can actually get at your convenience from the grocery store. Why do more than you need to. 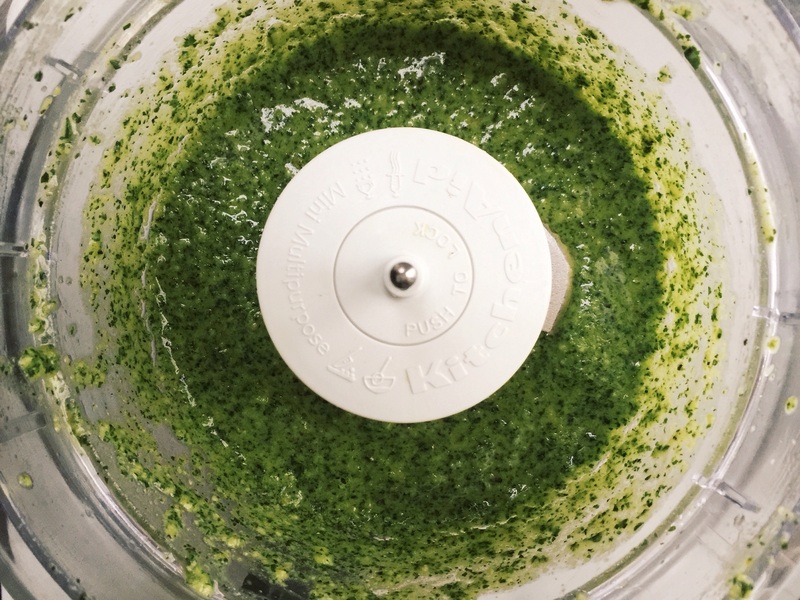 Why make pesto at home when you can open that store bought jar and just assemble a sandwich or add a spoonful to soup or pasta dish. 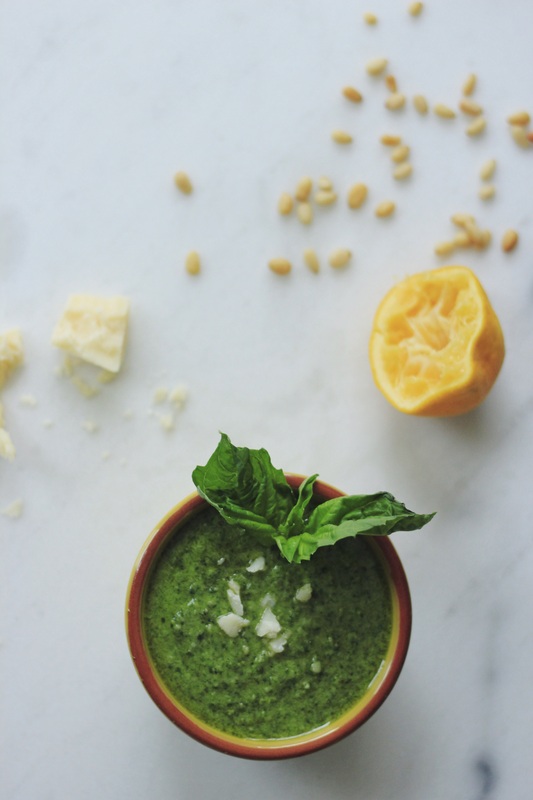 It’s quick and will only take few minutes out of your day to make and have pesto supply for days if not weeks. Its cheaper in long run….or wait, it may not seem like that when you make it the first time as you might be buying new ingredients for the pantry but each subsequent time it will turn out better. My most favorite excuse to go extra mile with this and many other recipes is if I make things at home & with kids they will grow-up appreciating home-made food, cooking and learn about different ingredients, in turn help make healthy choices when I will no longer will be the one taking decision for them about what goes on their plate, smile. No, seriously, believe me. This is totally out of necessity as my girl declared she not longer going to have pesto in her sandwich. Why? She does not like the taste of store bought pesto anymore and needed change. After trying few different variety from couple different store, when it still didn’t work, I decided to give it a try. I have been making pesto using different ingredients like sun dried tomato & roasted pepper and dips and chutneys but never accord that I should try to make basil pesto at home. May be like I said earlier about the new ingredients and making vs convenience thing. 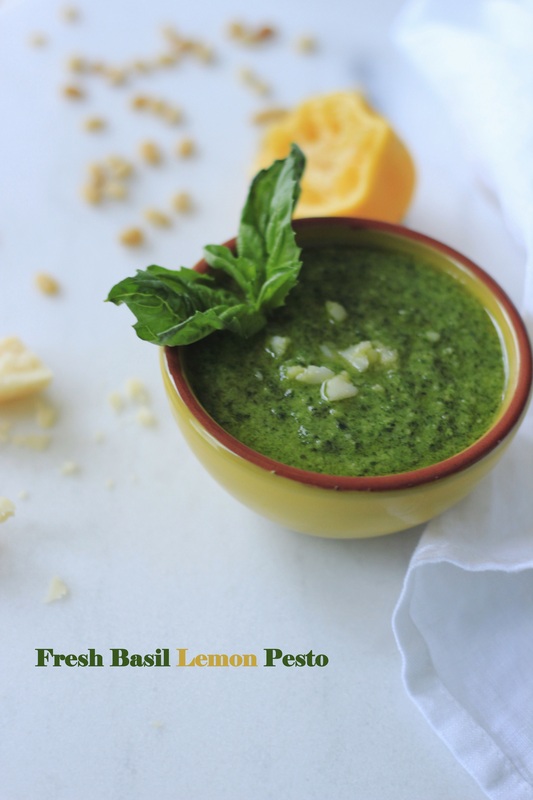 Hence my quest began, list came down to these ingredients and recipe that now works for us and we are again enjoying panini, sandwiches and soups with this fresh’n up version of basil pesto with lemon. Let’s take a look at the recipe. 1/2 cup extra virgin olive oil, reserve 1 tbsp to pour over once pesto is done. 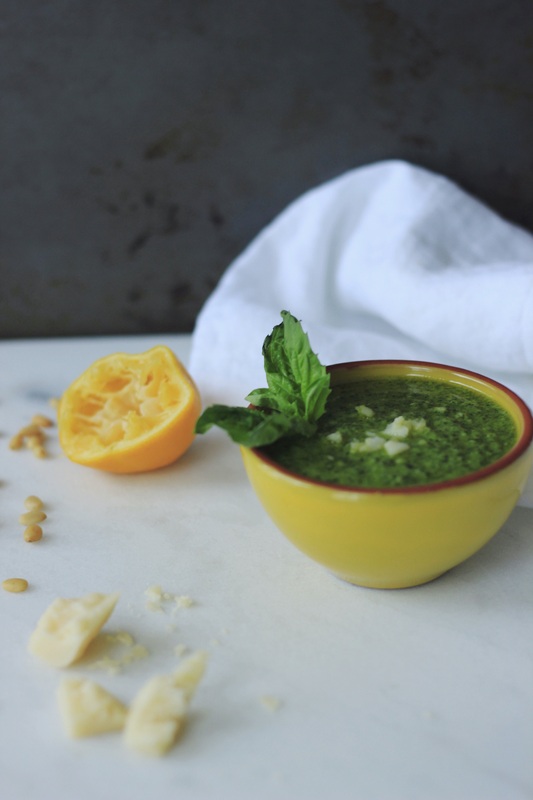 Lemon is the twist to otherwise classic pesto recipe and besides flavor lemon actually keeps pesto looking bright green for days. 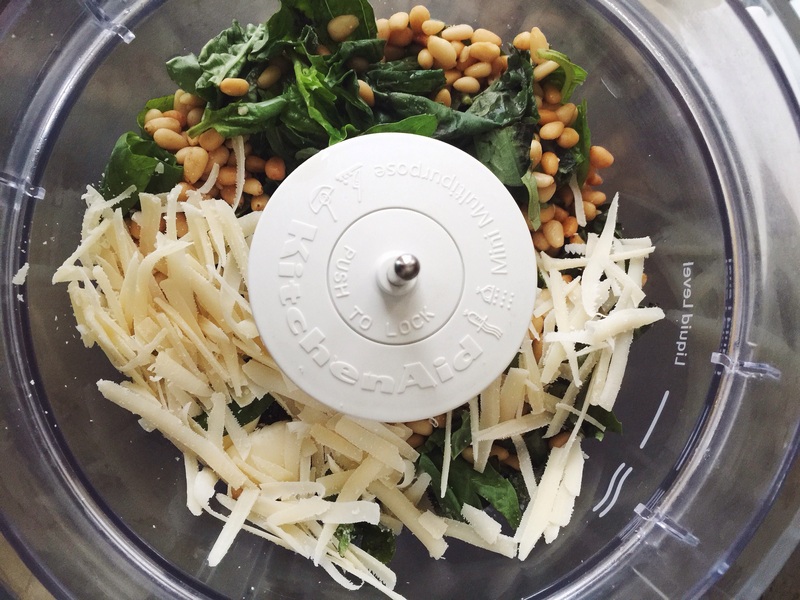 Place everything except oil in food processor and pulse until it is combined. If storing, transfer in to an air tight container and drizzle remaining oil, refrigerate for up to a week or freeze for up to a month. 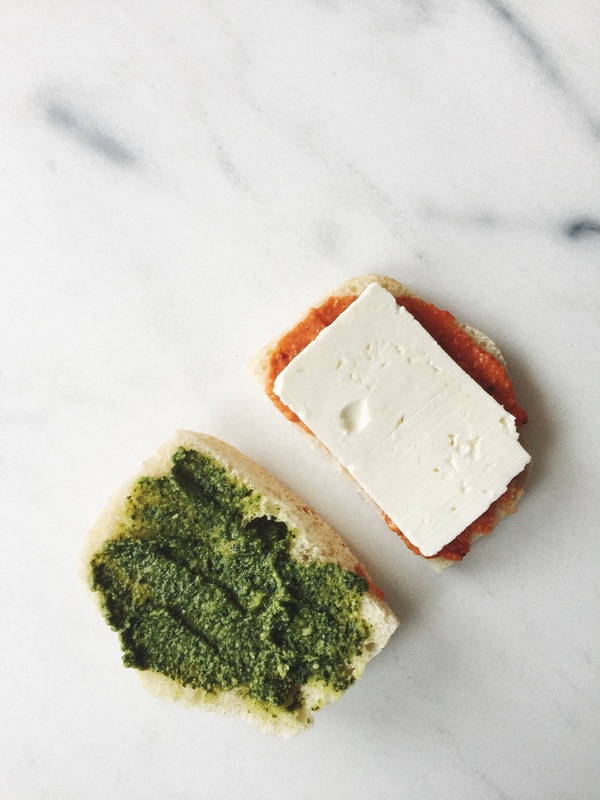 My favorite way to use this in to Greek style caprese panini; ciabatta bread, basil-lemon pesto, sundried tomato pesto and slice of fresh feta cheese in brine, grilled toasty with extra virgin olive oil. 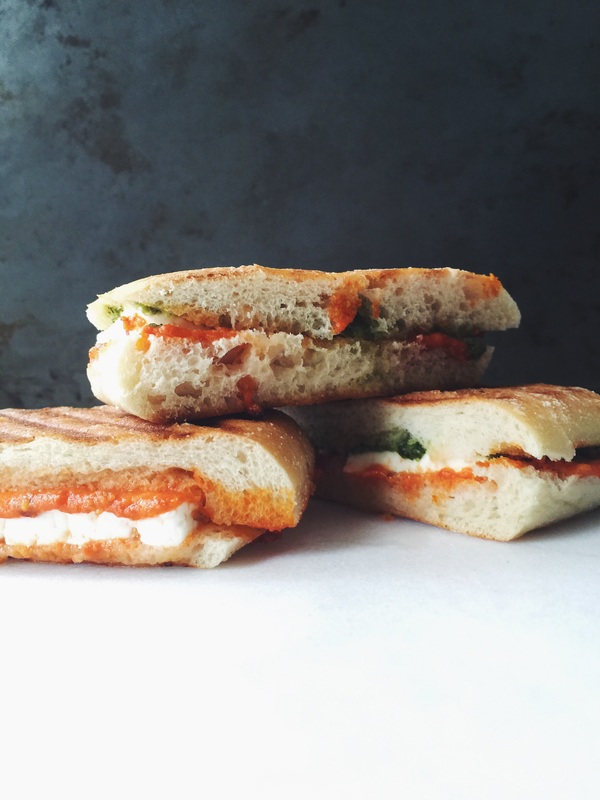 Kids like pesto with hummus in their sandwich and they even like sun dried tomato pesto and mozzarella cheese panini calls it pizza sandwich, smile. P.S. 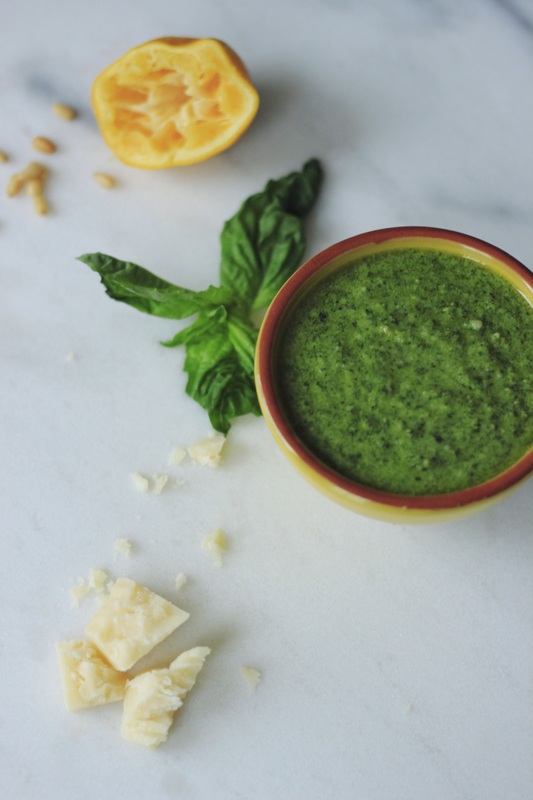 Adding olive oil on top prevents pesto from turning brown, Air is the enemy, and that’s why if storing in a jar once done using stir the extra pesto around and make sure there is a thin coating of oil on the surface. Doesn’t that sound familiar to what we do back home to preserve mango pickle and keep them bright for up to a year?